Hydroxycut Max! for Women vs. Lipo 6 Black Hers presents a face-off between 2 quality hybrid fat burners that were built for women. Hydroxycut Max! for Women uses researched-backed plant extracts and caffeine to help women simultaneously burn fat and maintain silky skin, strong nails and healthy hair. On the contrary, Lipo 6 Black Hers offers a hybrid formula containing nootropic brain boosters and fat-burning ingredients all in one. But which hybrid formula is really better for women? Let’s find out in this review. Hydroxycut Max! for Women and Lipo 6 Black Hers are both hybrid formulas for women who want to burn fat and maintain wholesome overall health. How are Hydroxycut Max! for Women and Lipo 6 Black Hers similar? Hydroxycut Max! for Women and Lipo 6 Black Hers do have some similarities. For one, they are both hybrid weight loss formulas for women. They even contain a couple of the same ingredients, which means they provide some of the same benefits. For example, they both contain vitamin B9 and caffeine. Vitamin B9 is good for female reproductive health and caffeine may speed up metabolism for faster fat-burning. How are Hydroxycut Max! for Women and Lipo 6 Black Hers different? Hydroxycut Max! for Women and Lipo 6 Black Hers both contain the same forms of vitamin B9 and caffeine. However, Hydroxycut Max! for Women offers a higher dosage of both ingredients. Since Hydroxycut Max! for Women contains slightly more caffeine than Lipo 6 Black Hers, it is more likely to cause jitters and unwanted side effects. On the other hand, Hydroxycut contains adequate dosages of biotin to support hair, skin and nails, unlike Lipo 6 Black Hers. Despite Lipo 6 Black Hers’ lack of biotin, it contains potent dosages of nootropic ingredients to support cognitive function, unlike Hydroxycut. As such, it may be the perfect fat burner for women who already take nootropics and are looking for a way to save some cash. Furthermore, while vitamin B9 is beneficial for women, neither supplement provides enough of it to meet daily nutritional needs. Nevertheless, vitamin B9 levels should be replenished regularly and the difference can be made up easily by consuming foods with Vitamin B9 in them. These 2 hybrid formulas for women have different ingredients, too. The proprietary blend of Hydroxycut Max! for Women contains a lot of ingredients. However, most ingredient dosages are not listed, which we don’t necessarily like. In addition, caffeine and biotin may be the only ingredients in the formula that come in adequate dosages. All other ingredients in Hydroxycut Max! for Women come in mediocre dosages, seeing as its proprietary blend contains 225 mg of caffeine anhydrous, leaving 300 mg to split amongst the 10 other ingredients. These dosages may be too low to provide women with the benefits promised by Hydroxycut Max! for Women. 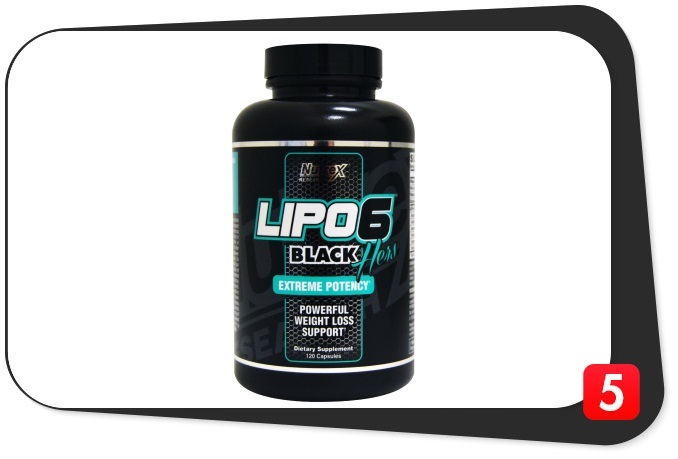 Lipo 6 Black Hers, on the other hand, contains a superior selection of potent fat-burning and nootropic ingredients with adequate dosages. It’s built with some of the best nootropics for women to help enhance overall cognition. It also contains some of the best fat-burning ingredients we’ve reviewed thus far. Not to mention, the ingredients in Lipo 6 Black Hers have a synergistic effect, meaning they work together as one to amplify the benefits of the entire formula. We also love that Lipo 6 Black Hers does not hide any information about its ingredients or dosages. All in all, Lip 6 Black Hers provides a more effective and transparent hybrid formula than Hydroxycut Max! for Women with added support for brain power. There’s no doubt it delivers on its promised benefits for women, unlike Hydroxycut Max! for Women. Advanced Delivery No. Generic rapid-release liquid capsules. No. Plain gelatin capsule. Stim-Free No. It contains Caffeine anhydrous (Supplying 225 mg of caffeine). No. It contains 220 mg Caffeine Anhydrous. Lipo 6 Black Hers clearly has more ingredients of notable quality compared to Hydroxycut Max! for Women. However, Lipo 6 Black Hers does have its downsides. For one, it contains inactive ingredients that seem downright unnecessary, including several additives. On the other hand, Hydroxycut Max! for Women comes in a rapid-release liquid capsule, containing fewer additives compared to Lipo 6 Black Hers. In addition, both of these fat burner formulas contain caffeine anhydrous. But Hydroxycut Max! for Women offers a higher dosage, which may cause unwanted side effects for women who don’t consume high dosages of caffeine daily. These prices are from GNC in 2018. However, if you want to shop for a better deal and save a few dollars, you can also buy these fat burners from Bodybuilding.com, Amazon, Walmart, iHerb, and other retailers. Look out for competitively priced supplements to maximize your savings on each fat burner. Hydroxycut Max! for Women is a cheaper fat burner, probably because it contains low dosages of most of its ingredients. Only biotin and caffeine anhydrous are provided in competent dosages in this formula, as we discussed above. It seems as though Hydroxycut has sacrificed more effective ingredient forms and dosages to be a cheaper supplement. Basically, we don’t think it’s worth the savings due to its limited effects. Women are better off opting for Lipo 6 Black Hers since the price per serving isn’t much different. And with Lipo 6 Black Hers, you reap cognitive benefits along with fat-loss support. In terms of pricing, Hydroxycut Max! for Women is cheaper than Lipo 6 Black Hers. However, the lower price means lower dosages for most ingredients. The variety of ingredients in Hydroxycut Max! for Women becomes irrelevant when offered in inadequate dosages. Thus the lower price is not really worth it. Hydroxycut Max! for Women vs. Lipo 6 Black Hers: Which is Better? 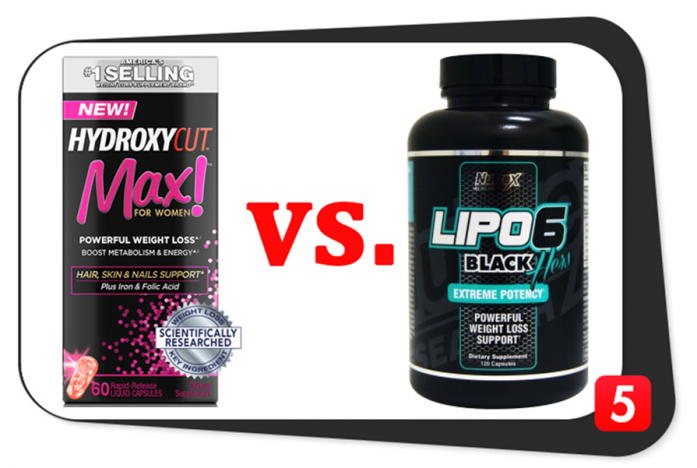 The decision is a no-brainer in our eyes; Lipo 6 Black Hers has the better formula compared to Hydroxycut Max! for Women. Here’s why. The hybrid design of Lipo 6 Black Hers is extremely safe and effective. Actually, caffeine is the only ingredient in it that may cause unwanted side effects. However, caffeine is also found in Hydroxycut Max! for Women (in a higher dosage); so there’s no escaping it with these two fat burners. In addition, Lipo 6 Black Hers delivers effective dosages of nootropic ingredients for cognitive support on top of fat-burning effects, making it a more wholesome fat burner than Hydroxycut Max! for Women. Since Lipo 6 Black Hers contains effective dosages of nootropic ingredients, it may also save women money on a nootropic supplement. In contrast, you only get what you pay for with Hydroxycut Max! for Women: lower dosages that are less effective. Even though Hydroxycut Max! for Women is meant to support fat-loss, hair, skin and nails, its formula provides inadequate ingredient dosages that don’t stack up to the competition. Luckily, Lipo 6 Black Hers’ formula combines potency with ingredient synergy for optimized fat-burning and cognitive support.